1. Click on the Admin button. Do not worry if the Program button is not visible. 2. 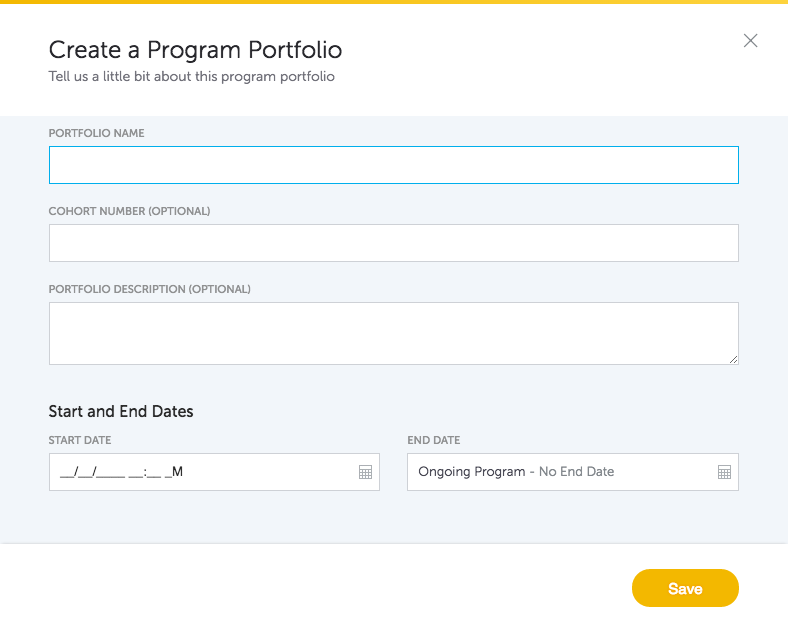 Click the Program Portfolios button on the left hand side. 3. Click the New Program button in the center of the screen. 4. Click the Define From Scratch button. 5. Fill out the form and click Save.